New England receives tight end Tim Wright, a second-year pro, and an undisclosed draft pick. Less than two weeks before the start of the regular season, the New England Patriots pulled a stunning trade Tuesday, sending Logan Mankins – a six-time Pro Bowl guard – to the Tampa Bay Buccaneers for Tim Wright, a second-year tight end. The Patriots also received an undisclosed draft choice. Two factors likely contributed to the trade – the Patriots need a tight end who can play in the slot and stretch the field, and Mankins is 32 with the second-highest contract contributing to the salary cap behind quarterback Tom Brady. According to overthecap.com, Mankins will make $10.5 million against the cap this season. Brady will make $14.8 million. Mankins has proved his toughness. He played the 2011 season with a torn ACL. Mankins was heavily praised in a statement from Coach Bill Belichick. 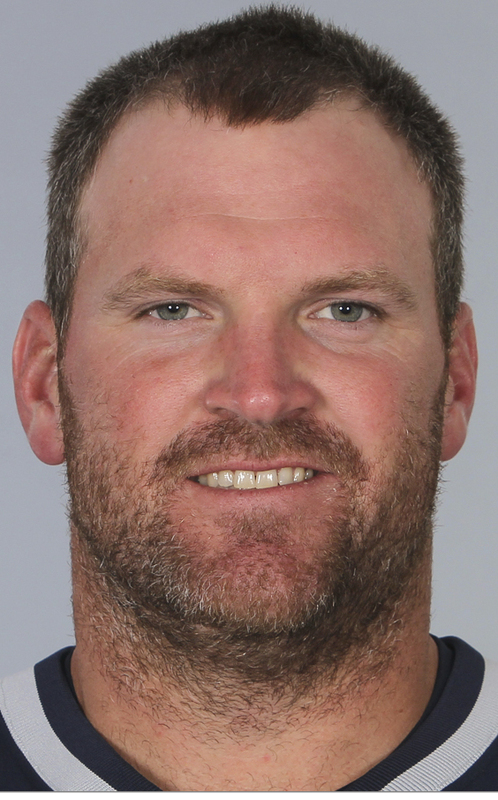 “Logan Mankins is everything we would ever want in a football player. It is hard to imagine a better player at his position, a tougher competitor or a person to represent our program,” said Belichick. “He is one of the all-time great Patriots and the best guard I ever coached. Logan brought a quiet but unmistakable presence and leadership that will be impossible to duplicate. Mankins was a first-round draft pick of the Patriots in 2005 and has been selected for the Pro Bowl each of the past five seasons. He appeared in two Super Bowls and started all 130 regular-season games and 17 postseason games he’s played in during a nine-year stay with New England. “It’s very sad. He’s been here for a long time,” Patriots cornerback Darrelle Revis said. Revis played with Tampa Bay last season, so he’s familiar with what New England received in return. Wright joined the Bucs as an undrafted free agent in 2013. Despite a productive rookie year, he became expendable after the Bucs signed veteran tight end Brandon Myers in free agency, then selected Austin Seferian-Jenkins in the second round of the draft. Wright, who played his college ball at Rutgers, caught 54 passes for 571 yards and five touchdowns last season. The flip side, of course, is the Patriots are suddenly weaker in the interior line. Unless a second deal is done, the team will go into the season relying on Jordan Devey, who played much of the preseason at right guard, Josh Kline or perhaps Marcus Cannon, a fourth-year pro. Tampa Bay had been actively seeking a starting offensive lineman. “(Mankins) has a history of a certain type of play in the league,” Buccaneers Coach Lovie Smith said, adding Mankins will bring leadership on and off the field. Though the departure of Mankins obviously was the far greater news, the Patriots also released Derrick Johnson, a former University of Maine receiver who signed as a rookie free agent. In three preseason games, Johnson caught two passes for 39 yards. In addition to Johnson, the Patriots reduced their roister to 75 by waiving cornerback Jemea Thomas, who was a sixth-round draft pick, defensive lineman Ben Bass, defensive back Travis Hawkins, receiver Wilson Van Hooser and linebacker Deontae Skinner. Running back Tyler Gaffney and linebacker Cameron Gordon were placed on injured reserve.